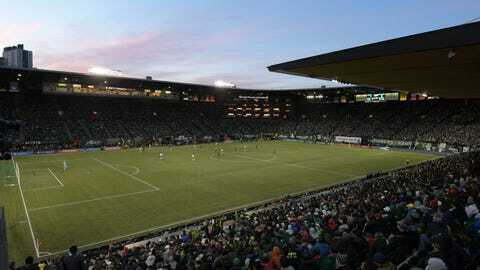 Providence Park is already one of the most beloved stadiums in MLS and NWSL. The place gets great crowds, has history dating back a century and provides some of the best atmospheres anywhere in American soccer. The one drawback? The stadium only holds 21,144 people. 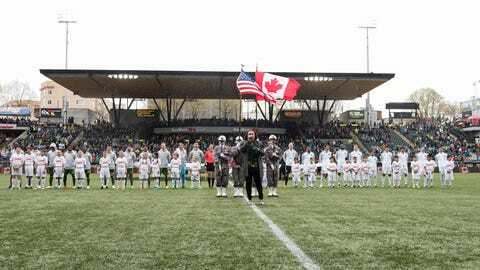 Considering the Timbers have a season ticket waitlist of 13,000, that's just not enough. And that's why they want to expand the stadium. On Wednesday, they revealed their plans to do just that, adding roughly 4,000 seats to the east side of the stadium. The expansion would add four levels to the existing east stand, to go along with a new roof. 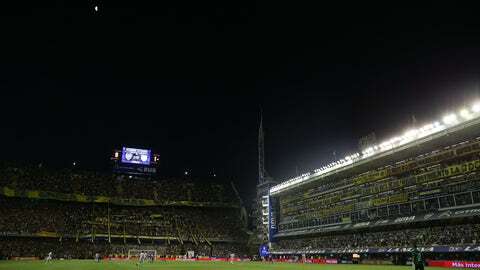 The new stand was inspired by the Globe Theater and Boca Juniors' La Bombonera, which also goes essentially straight up along one side because of limited space in a congested neighborhood. The current east stand was build ahead of the Timbers' 2011 MLS expansion season. They can only expand so far because there is a street behind the stand, limiting the space available. That's why the vertical design works, with four levels being added on top of the existing east stand. 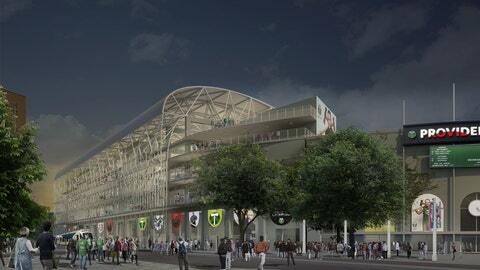 The new stand will rise well above the current roof and make for an entirely new exterior. It will be light and airy, which will be very different from the rest of the stadium. 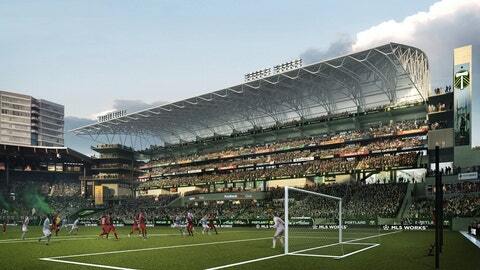 The Timbers intend to fund the renovation privately, putting up the entire $50 million needed. 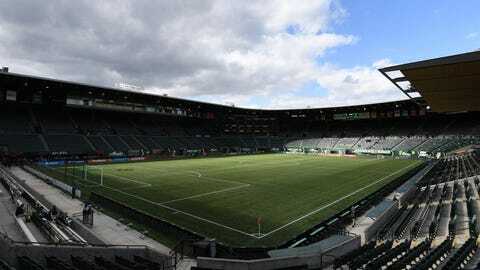 The Timbers still need approval from local officials, although the private funding makes it all much easier. 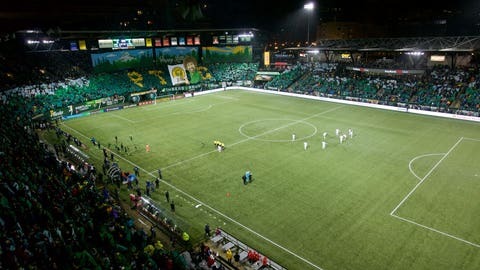 Usually, local officials require teams make changes -- sometimes very small, sometimes major -- to stadium designs so the final renovation plans will likely look at least a tiny bit different, but this is what the Timbers are going for right now. 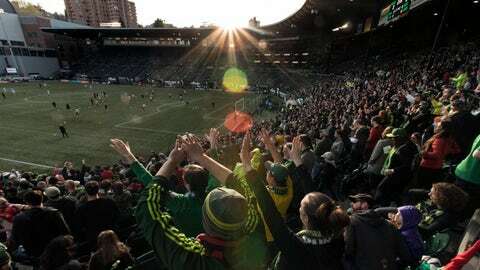 The hope is that the Timbers will get approval for their renovation at some point in the next year, with construction taking place over two offseasons. So the plan is to either start after the 2017 season, and have the renovated stadium ready for the 2019 season, or they'll start after the 2018 season and open it up in 2020. 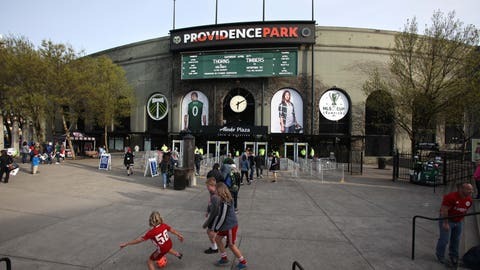 Either way, both the Timbers and the Thorns will be able to play in the stadium during construction so soccer will go on at Providence Park even as it transforms into a 25,000+ seat venue.